Expansive Yoga Music and Meditation Music for a high frequency, conscious soundscape for a restorative yoga class, yoga meditation, body-mind-spirit meditation and healing. Rich swathes of pure retro ambient textures. Synths and synth-strings, subtle cello melodies and organs, with acoustic slide guitar pads occasional bell chimes – ethereal chimes and grounding drones. An epic hour long centerpiece is flanked by two stunning, beautiful minimalist shorter variations. Reminiscent of and inspired by Brian Eno’s “Music for Airports”. Best appreciated at high volume, equally enjoyable as a quiet background soundscape. For me one my best Ambient Consciousness Music albums. 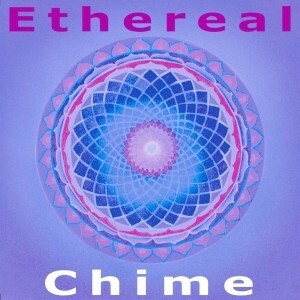 I also created a bunch of stronger, more thrusting mixes from the Ethereal Chime themes and sounds for the Ethereal Chime SPACEDROPS EP. Use << or >> buttons to skip tracks. Best price $2.67 from Amazon mp3 includes $0.89 for the 60 minute title track.